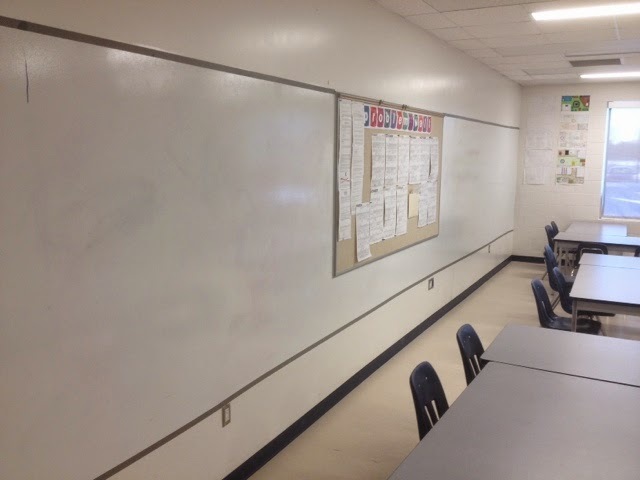 Group whiteboarding has changed how I teach mathematics. It has also changed how students operate as a community of mathematicians. This, coupled with the assertion that you can’t expect limitless ideas with limited innovation space, caused me to think bigger. This is the result. Whiteboard paint from the HomeDepot coupled with ebay’d Washi Tape creates a new innovation space across my back wall. The new ultra-large whiteboard opens up opportunities for larger groups and impromptu collaboration as one group comments on the work now presented in plain sight. It also accommodates students who need some movement while thinking. For some reason, it makes the room feel larger. It encourages collaboration, curiosity, and conjecture. 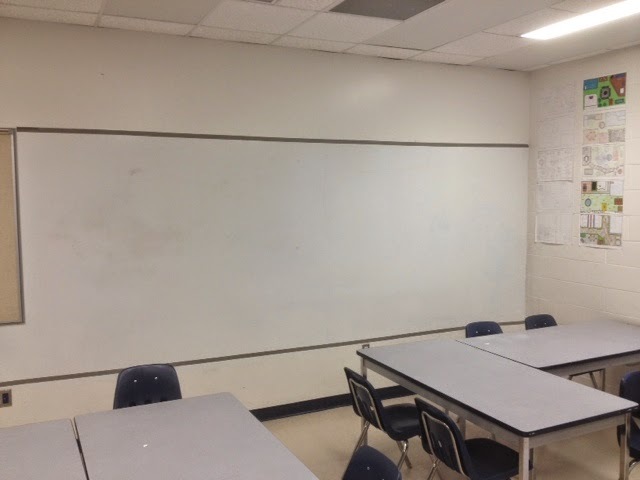 Next stop, find a classroom made entirely of dry erase surface. (probably a harder sell). 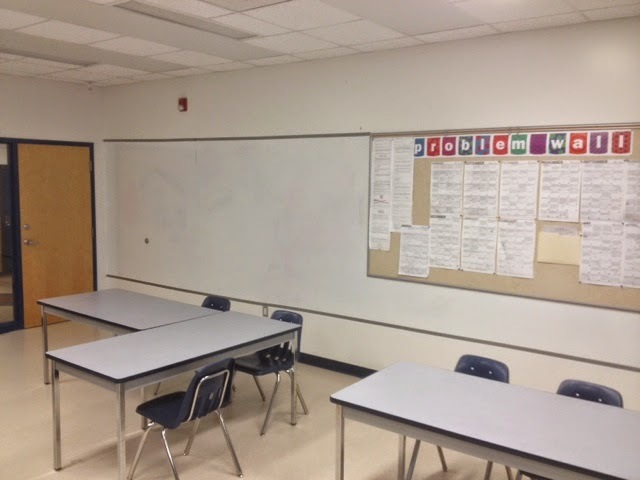 I'd love to see some end-of-day photos of those boards all filled up with collaboration, curiosity and conjecture. (Notice I left out the silly Oxford comma in the phrase I stole from you). I have cabinets in the way so I think I'm going to try to paint those. Awesome! I love the idea that more space = more thinking.